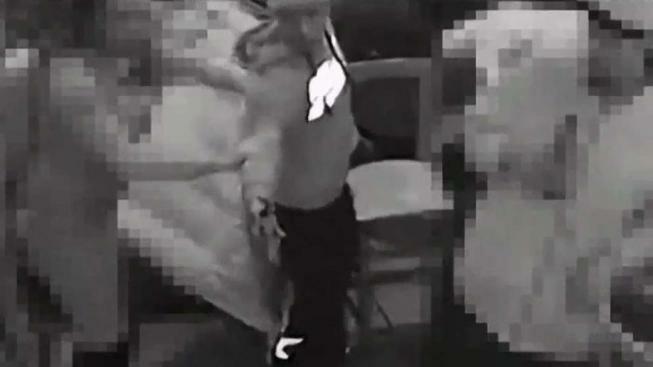 Security cameras captured a shooting inside a crowded D.C. restaurant. News4's Mark Segraves shows the chaotic scene. Stunning surveillance video shows the moment a man opened fire inside a crowded D.C. restaurant, shooting someone several times and sending others scrambling for cover. The victim was treated for life-threatening injuries from the shooting early the morning of Jan. 27, inside the H Street NE Ethiopian restaurant Quara. D.C. police are searching for three people: the shooter, a man seen beating the victim and a woman seen picking up a gun. Surveillance footage shows all three people. The melee broke out about 12:05 a.m. inside the restaurant at 818 H St. NE. Graphic video footage shows a man open fire inside a restaurant on H Street NE. Warning: Some viewers may find the images disturbing. Footage released Tuesday morning shows a man in a hooded sweatshirt and hat yelling in a crowd. Then, he points a gun and fires four times. He lunges at the apparent target and runs toward them. 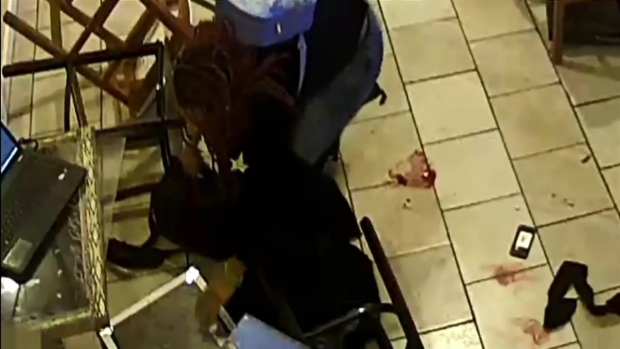 A separate video clip shows a man on the floor of the restaurant, clutching at his left leg. The shooter approaches the man and kicks at him. A woman drags the shooter out of the restaurant. Then, a man in a dark-colored coat jumps onto the shooting victim. He throws a bar stool onto the man, who's already on the ground. Blood can be seen on the tile. The woman then can be seen picking up a handgun, putting it into her backpack and walking out. The victim was taken to a hospital with multiple gunshot wounds. The restaurant was shut down for 96 hours, a police spokesman said. Police are asking for help from the public in the case, which is classified as an assault with intent to kill. Anyone who can identify the people in the video or who has knowledge of the incident is asked to call police at 202-727-9099 or text 50411.